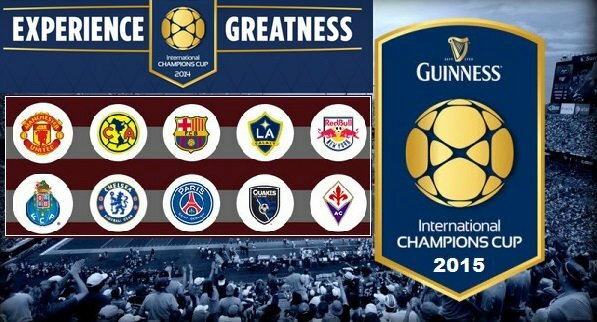 International Champions Cup 2015 has been confirmed with the announcement of 8 teams which will be participating in the competition. Mix of european, american and mexico teams will be part of a pre-season friendly competition starting from 11 July 2015 to 05 August 2015 in United States various cities. While Tottenham will be playing in the MLS All Star game. How to buy tickets for International Champions Cup 2015 matches ? An official press conference from the ICC authorities will be taking place on 28th April 2015 when the entire schedule of matches, venues, times and tickets information will be revealed. If you are in United States you can pre-register your interest by visiting (internationalchampionscup.com). Here are the list of teams who will be part of 2015 pre-season competition. The format of the competition is yet to be announced because of the fact that only 8 teams were expected to be part of the competition but now 10 teams has been announced and Manchester United only wants to play 3 matches maximum. So we can only predict a group stage and knockouts format at this point. Once the schedule has been announced you can book the tickets for the group matches online at the official website of the competition (internationalchampionscup.com). We will be updating this post soon with more updates and news from the pre-season tournament.